Windows sales may have actually taken over Linux sales, which is surprising but not wholly unexpected. Using a Windows Virtuozzo license, you can provide your customers with a range of services that you may not have been able to provide without it. The Linux version is somewhat limited when it comes to ASP, ASP.NET, MS SQL, RDP, and other features. These are unique to the Windows environment, and many of our customers were in need of a Windows Virtuozzo license to create a more secure, flexible virtual environment. Additionally, you can expand your market segment greatly by using Windows Virtuozzo. Windows will allow your brand to grow in size because many hosting providers will not offer Windows based hosting services. There are a variety of people that are currently using Windows, so you can certainly expand your services with a Virtuozzo software license for Windows and not Linux. Most hosting services offer their packages on the Linux / Unix based hosting model, and this can make it an extremely lucrative pursuit for you to purchase Windows Virtuozzo. 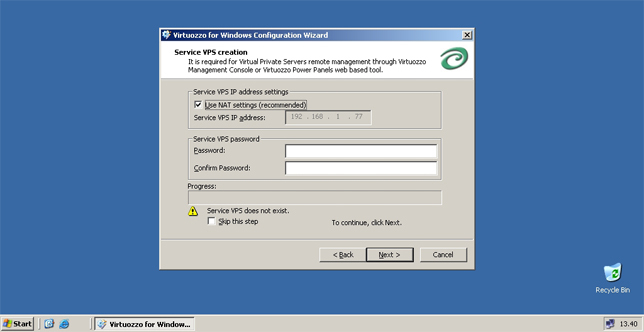 If you are currently operating on the Windows environment, you no longer need to worry that you cannot offer hosting services with Virtuozzo. In fact, the Windows Virtuozzo software license is a great addition to any hosting provider because it allows them to offer their services to more people thus expanding their potential client base. Parallels Virtuozzo is the best virtualization for Windows platform so far. We have used some other ones over the years but they were never so stable and fast. Great idea to start offering it for personal and web hosting use. We are using this Parallels product for many years and it is a lot better and stable from the VMware Windows solution. The best virtualization for Windows and Linux OSes. We always had reliable virtual servers with this Parallels product. Virtuozzo is the technology we trust for years for our both Linux and Windows VPS hosting servers. Great product, always stable and fast.